Thank you Washington Drug Card! 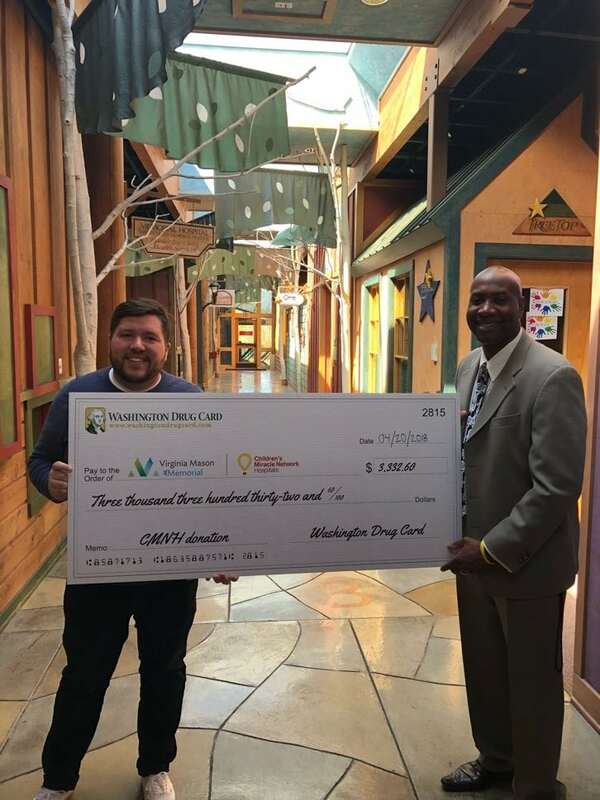 Thank you Washington Drug Card for donating over $3,332 toward children’s healthcare programs and services at Virginia Mason Memorial, your local Children’s Miracle Network Hospital. With every swipe of the card, United Networks of America donates at least 10 cents to CMN Hospitals. Thank you Washington Drug Card for supporting kids across Central Washington! Josh Munson with Virginia Mason Memorial and Christien Neuson with Washington Drug Card at Yakima’s Children’s Village.